There is no denying Ezekiel Elliott is one of the best, if not the best, running back in the entire NFL. He's just one of those special players that makes things happen anytime he has the ball in his hands. Unfortunately, he didn't really look like himself in 2017, but I'm expecting him to completely rebound this season and absolutely dominate. 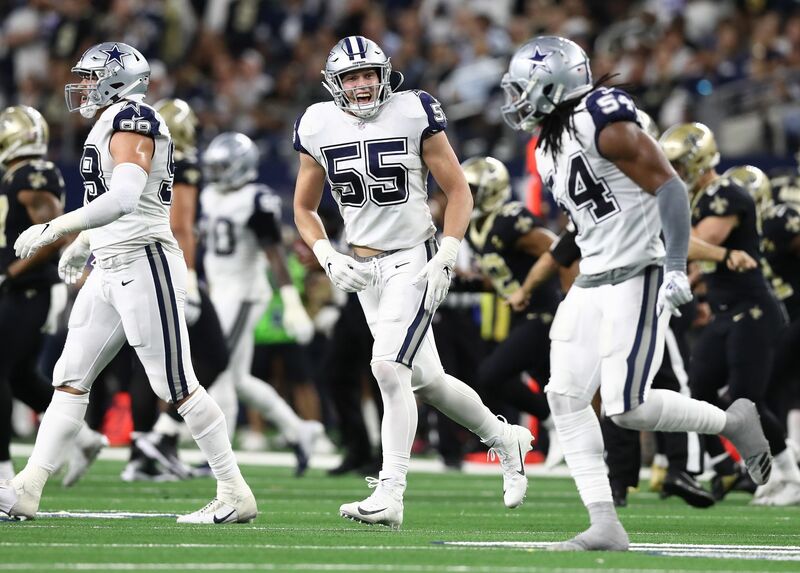 The Dallas Cowboys offensive mindset in 2018 will once again incorporate a run first mentality. That means Ezekiel Elliott will be the focal point of the offense and his success or failure could end up determining how the Cowboys season turns out. With that in mind, I thought I would share with you three reasons why I believe Zeke will return to his dominant form in 2018, and quite possibly be better than we have ever seen him. 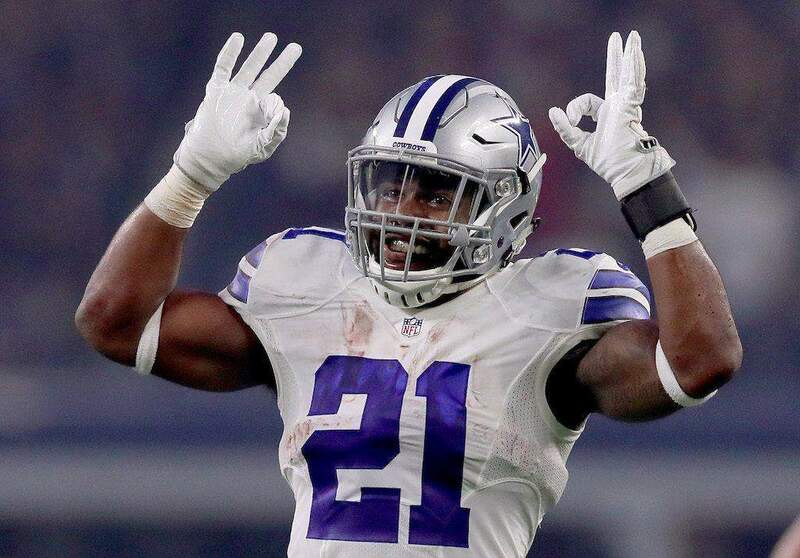 Continue reading below to see why we should be excited about Ezekiel Elliott this season. At no point in 2017 did Ezekiel Elliott look like the player we are accustomed to seeing. In the games he did play, he looked almost lethargic to the point it looked as if he was just going through the motions. I think that had a lot to do with the pending suspension hanging over his head, which probably had more of an effect on him then he admitted. It had to be an emotional roller coaster to go through such an ordeal, especially when you're trying to clear your name. There's no way it wouldn't take a toll on someone, especially for a well-known professional athlete who plays for one of the most recognizable sports teams in the world. It was a burden that weighed him down last season. With all that behind him now, I believe the 2016 rushing leader, Ezekiel Elliott, will once again return to his dominant form. I think we will see him bouncing around and having fun once again like he did his rookie season. That should equate to much better production and help fuel the Dallas Cowboys offense, who will once again have a run first mentality. If you don't think Ezekiel Elliott is out to prove something in 2018 after everything he went through last season, then you've got another thing coming. He believes, as do I, that he was unfairly targeted by the NFL and Commissioner Roger Goodell. In fact, he should be completely outraged that they have done nothing regarding current San Francisco 49ers linebacker Ruben Foster and his domestic violence situation. Because of all of that, I believe Zeke is going to run a little bit extra angry throughout the 2018 season. He wants to distance himself from the "domestic abuser" label the NFL pretty much forced on him last year, and the best way to do that is by dominating on the field. I have no doubt that he will be zeroed in this season and look much more like the player we saw in 2016. He will also be expected to be a leader of this team, which is a role I believe he will not only embrace, but excel at. It's that renewed focus that should propel him into dominance once again. The best way to make Ezekiel Elliott even better is to improve the blocking in front of him. That is exactly what the Dallas Cowboys did when they drafted Connor Williams with their second-round draft pick. Williams' addition could possibly make the Cowboys offensive line the best it has ever been, which should make Elliott giddy with anticipation. Connor Williams will not only be an upgrade over what the Dallas Cowboys employed at left guard last season (Chaz Green and Jonathan Cooper), but has the ability to be even better than Ronald Leary. Leary was without a doubt the best of the three, which is why the Cowboys OL was the best when he was their starting LG. But, Williams has better movement/agility to make blocks Leary struggled making. Williams is a much better player in space than any LG the Cowboys have had at their disposal, and he plays with power as well. His skill set will allow them to do anything they want as far as the blocking scheme goes in both the running and passing game. His addition will make Zeke a much better player as a runner, but also as a receiver as well on screens, which we should see much more of this season. Do you think Ezekiel Elliott will be more dominant in 2018? La saga más importante en este offseason de los Dallas Cowboys llegó a su fin la semana pasada cuando DeMarcus Lawrence por fin firmó su extensión. Tras semanas de estar en un "punto muerto" en las negociaciones, se reportó que ambas partes habían retomado las pláticas el viernes pasado y el mismo día se anunció el trato. El ala defensiva de 27 años consiguió un contrato de cinco años y 105 millones de dólares. Esto convierte a Lawrence en el tercer defensivo mejor pagado de la liga en promedio por año, detrás solo de Khalil Mack y Aaron Donald. Con 21 millones anuales, muchos no están de acuerdo con pagarle esta cantidad de dinero a un defensivo como D-Law. Es entendible, dado que nunca es fácil hacer a un jugador uno de los mejores pagados en la liga. Sin embargo, DeMarcus Lawrence lo vale. Pidió dinero del calibre de Von Miller y otros defensivos elite porque ha producido a ese nivel. No sólo eso, sino que realmente se ha perfilado como el mejor en su posición contra el juego terrestre. El valor que aporta al equipo logra justificar lo que se le pagará. Además, la estructura del contrato realmente ata al equipo solo por tres años a Lawrence. Esto es una victoria para la administración de los Jones. Como bien sabemos, DeMarcus Lawrence no era el único jugador que necesitaba recibir una extensión. Pero ahora que está fuera de los quehaceres, Dak Prescott es el centro de atención en Dallas. En sus primeros tres años en la NFL, los Cowboys han ganado dos veces el título de la NFC East. Ha demostrado ser un líder capaz de dirigir al equipo y ganar en los momentos importantes. 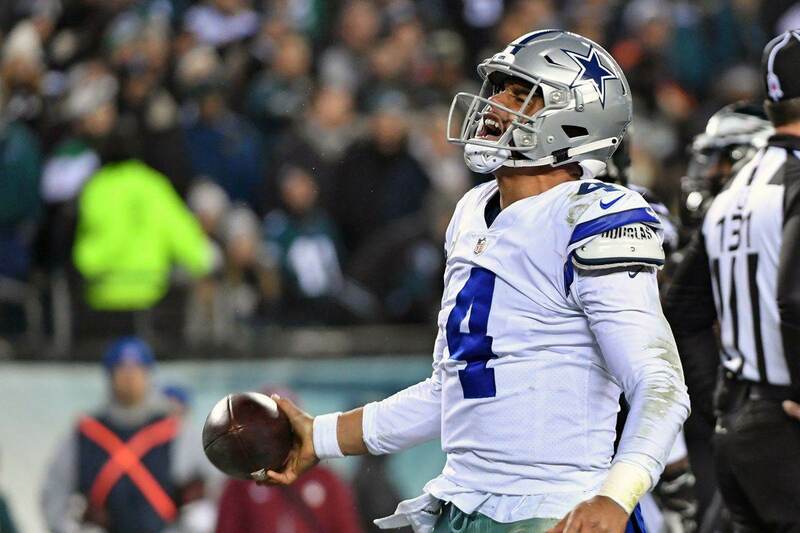 De hecho, Prescott es el quarterback con más series ganadoras desde el 2016, cuando entró a la liga. Por si fuera poco, ningún mariscal de campo ha conseguido tantas series así en sus primeras tres temporadas. Muchos ven a Dak como un jugador que merece menos de 25 millones al año, pero no es así como funciona el mercado. A mi parecer, el contrato no bajará de 25 y se acercará a los 30 al año. ¿Mucho? Quizá. Pero en esta liga, si te quieres quedar con un mariscal franquicia, tienes que pagarle bastante para evitar que llegue a la agencia libre. Y sí, Prescott sigue bajo contrato en 2019 pero la extensión seguramente vendrá antes. El valor por un QB sube cada año al igual que todas las posiciones y con un jugador como Patrick Mahomes en la AFC, habrá un brinco considerable el próximo offseason. Cuando Prescott firme una extensión, habrá mucha división entre los aficionados de los Dallas Cowboys. Personalmente, veo a Dak como un jugador franquicia. Por ahora, estemos contentos porque Lawrence se queda en casa. Tell me what you think about "Cowboys en Español: Lawrence Extendido, ¿Sigue Prescott?" in the comments below, or tweet me @MauNFL and let’s talk football! If you like football and are looking for a Dallas Cowboys show in Spanish, don’t miss my weekly Facebook Live! show, Primero Cowboys! Last night was a major one in the NBA, with two legends and future Hall of Famers playing in their last respective home games. Of course, the legend which means the most to Dallas-area sports fans is Dallas Mavericks great Dirk Nowitzki, who gave a teary-eyed farewell to the Dallas faithful on Tuesday night, finally admitting "it's time." 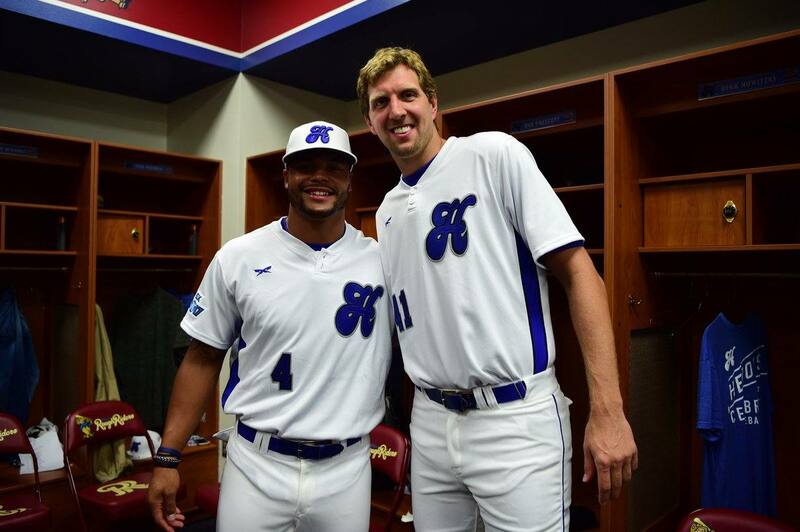 It's no secret that Nowitzki has been supportive of all DFW teams while apart of the Mavs organization, and last night the Cowboys returned the favor, showing up in full force to support Nowitzki in his final game. A collection of players, including Dak Prescott, Ezekiel Elliott, and Sean Lee joined head coach Jason Garrett in a luxury box to enjoy the game and show their support of the Mavs legend. Dirk Nowitzki put up 30 points and 8 rebounds in the Mavericks 120-109 win, an excellent way for the future Hall of Famer and fan favorite to go out in front of his home fans.